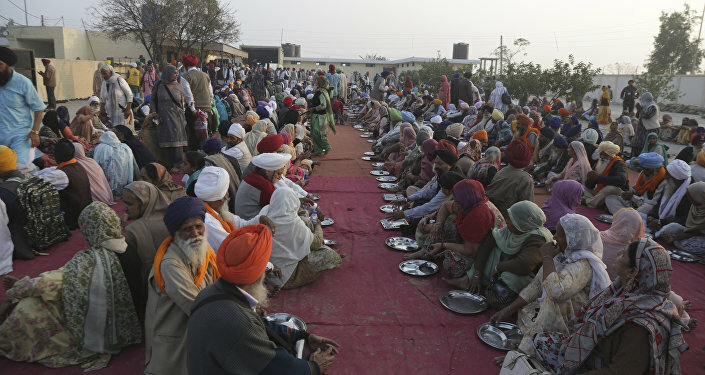 The Kartarpur Corridor, slated to be operationalised this year, is an Indo-Pak people-to-people exchange project to facilitate Sikh pilgrims from India to visit the final resting place of Sikhism’s founder and its first guru, Guru Nanak Dev. The place is located at Kartarpur in Pakistan at a distance of 3 kilometres from the international border. New Delhi (Sputnik): The technical meeting between India and Pakistan to align various aspects of the Kartarpur Corridor project has been held "in a positive and constructive environment", according to a press statement released by the Pakistan Foreign Office. The talks were held at the Zero Point of the Kartarpur Corridor, which is the crossing point location along the Indo-Pakistan border. This January, India shared the coordinates of the zero point with Pakistan. It was not merely a sit-in meeting, as the technical teams from both sides undertook joint surveys of the Zero Point. Technical details like the level of the finished road, high flood levels, etc., were also discussed. "Both sides jointly surveyed the coordinates of the Zero Point and discussed the technical details, including Finished Road Level, High Flood level etc. ", the release read. With many points having been discussed and agreed upon, other aspects of the project would soon be finalised, according to the Pakistani statement. 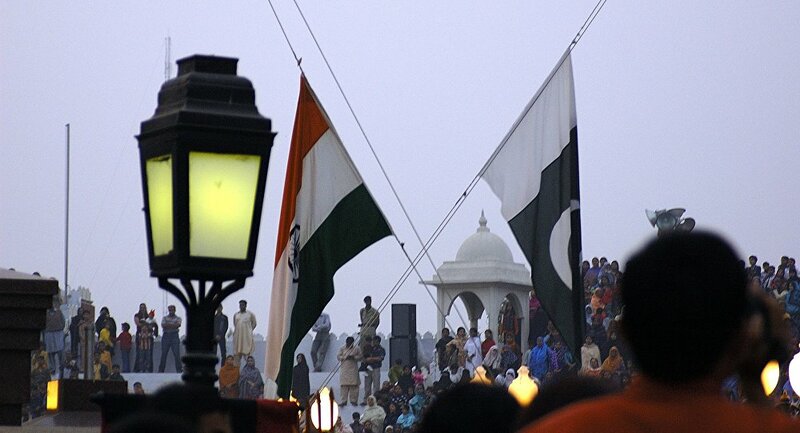 A meeting with regard to the operationalisation of the corridor is scheduled to take place on 2 April 2019, at the Wagah border. The Kartarpur Corridor project is underway despite the escalation in cross-border tensions on account of the mid-February Pulwama terror attacks carried out in India by a Pakistan-based jihadist organization, which saw both the nuclear states engaging in active military posturing through a show of air power. In the Pulwama incident, a vehicle laden with high-powered explosives was driven into a convoy belonging to the Indian paramilitary organization called the Central Reserve Police Force (CRPF). The suicide attack saw 40 Indian troopers die, which infuriated the country. Pakistan-based jihadi outfit Jaish-e-Mohammad claimed responsibility for the attack. India blamed Pakistan for the attack and for its alleged policy of harbouring terrorists. Pakistan has denied all allegations of wrongdoing.